Keith Olsen on Watergate. Part II: Dirty Tricks, Illegal Money, and the Break-In at the Watergate Building. Last time out I discussed Keith Olson’s argument that the illegal activities carried out by Richard Nixon, his administration and the Committee to Re-Elect the President (CREEP) need to be understood in the context of a larger culture of acceptance of political crime and, more importantly, in the context of a genuinely-perceived existential threat to … Continue reading Keith Olsen on Watergate. Part II: Dirty Tricks, Illegal Money, and the Break-In at the Watergate Building. 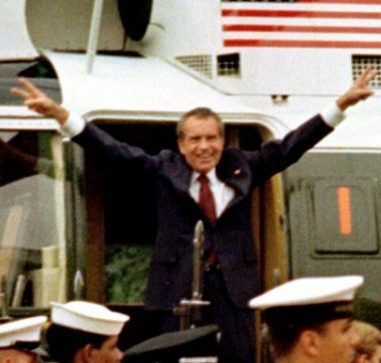 Watergate: The Presidential Scandal That Shook America. Part I: The Context. Keith W. Olson’s Watergate: The Presidential Scandal that Shook America is a short introductory text to the Watergate episode, but Olson does more than recount the story of the Watergate break-in, the subsequent cover-up, and the investigative process that ended in Richard Nixon’s resignation: he makes an important argument about what Watergate reveals about American … Continue reading Watergate: The Presidential Scandal That Shook America. Part I: The Context.